Whenever we go on any trip we always try to find local cider makers to visit. 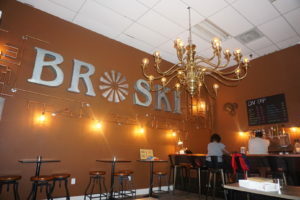 And during a post-cruise stay in Fort Lauderdale, we visited Broski Cider Works. 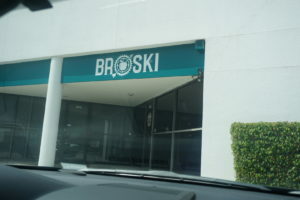 Broski was founded in 2015 by brothers David and Daniel Verdugo. The Verdugo Brothers got their start helping their Grandmother run her restaurant/pub in Columbia. After the business was successfully progressing the Brothers began their foray into cidermaking. 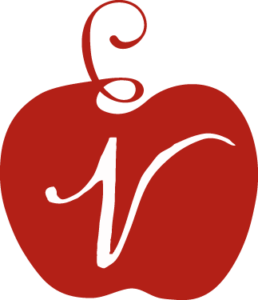 In 2006, David and Daniel attended Peter Mitchell’s (a world renowned English cidermaker) Cider & Perry Production course at Cornell University. The Brothers were quick studies and their ciders 1st and 2nd place in a blind competition. David and Daniel took their refined cidermaking skills back to Flordia and established Broski in 2015. While the cidery is based in Pompano Beach they source their unique blend of Bittersweet and Dessert apples from New York State. 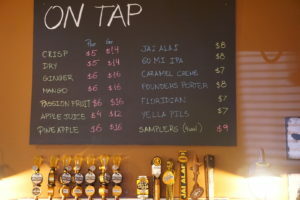 The tap room had only been opened for a couple of months when we visited in 2017. Broski is in an industrial park (like so many of the cider makers we’ve visited like here and here), but once you enter you are transported to a steampunk inspired room. 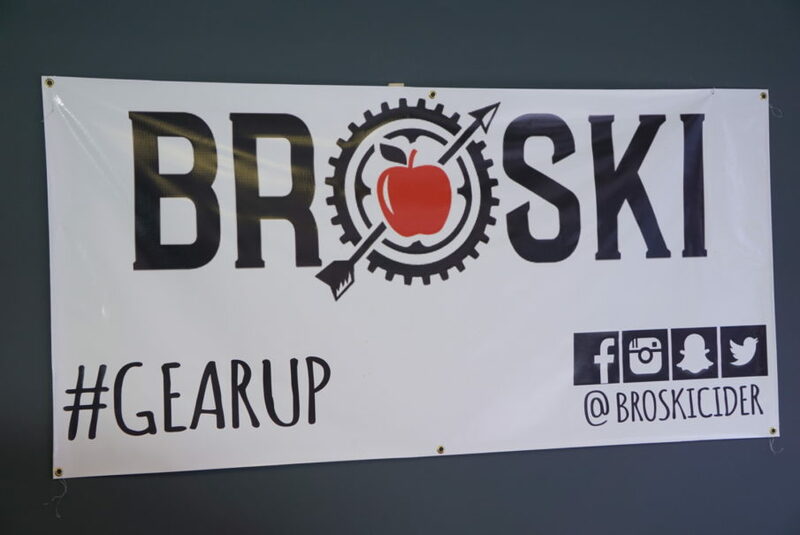 Besides the brass, aviator goggles, and Victorian themes, Broski’s has embraced the steampunk culture through its creativity and individuality. Broski’s has several ciders on tap that we tried along with a cider cocktail. 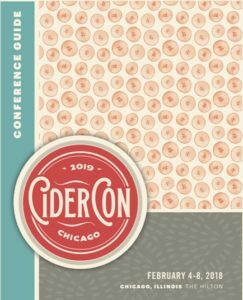 Broski’s Dry Cider (5% ABV) is an off-dry English style cider (think Sancerre) that has a clean apple flavor and slightly tannic finish. 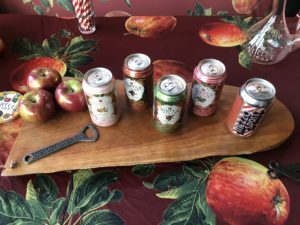 We had an opportunity to try the juice that Broski’s uses the make these ciders and it has a juicy, sweet, apple forward flavor. The sweetness is tampered down in the semi-sweet Crisp Apple Cider (4.5% ABV) serves as a base for Broski’s fruit ciders (Passion Fruit, Pineapple, Mango, and Ginger). 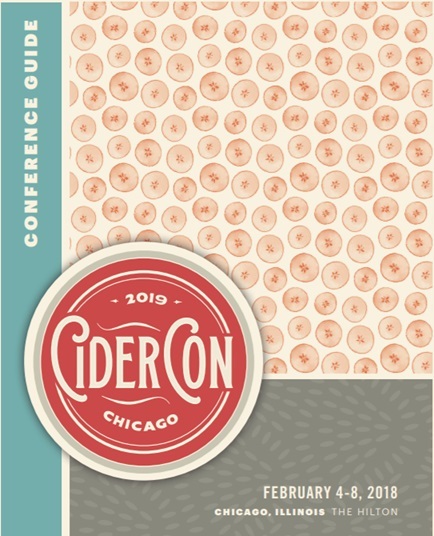 This cider has a floral and apple nose with smooth apple forward flavors with a bit of the acidity on the finish. 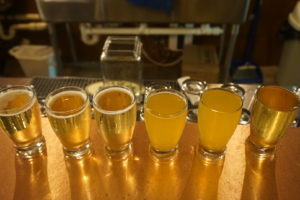 The fruit ciders were sweet and all of the fruit flavors paired nicely with the apple base. 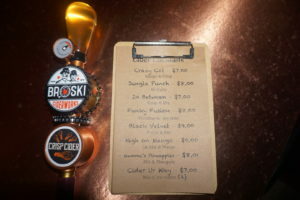 Broski recently won an award for their Pineapple cider, which is reminiscent of biting into a juicy pineapple or drinking an Auslese Riesling.